Euthanasia Prevention Coalition Euthanasia Prevention Coalition: Dr Yves Robert concerned about evolving euthanasia laws in Québec. 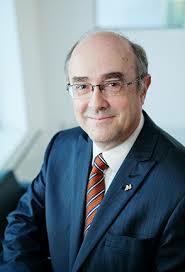 Dr Yves Robert concerned about evolving euthanasia laws in Québec. This article was published by the Physicians Alliance Against Euthanasia on June 12, 2017. Considering the past positions espoused by the College and by Dr. Robert personally – “The debate is only beginning…” (words of Dr. Robert at 18 minutes 24), such a quote is reminiscent of the classic novel Frankenstein, where that high-minded scientific genius, having created a humanoid monster threatening to the human race, is forced to confront the reality of his acts and of his responsibility for them. Tragically, but also heroically, he feels obligated, in the end, to hunt and destroy that creature – loved by him as a son – which his imprudent skill had set loose upon the world. This reading of the text may be well beyond the Secretary’s intention. However, he has raised a clear statement of principle: if there are no criteria for euthanasia other than client demand, then medical wisdom, medical art and medical science have no role to play. Once we allow any person to choose state-assisted suicide, and any doctor to perform it, we are legitimizing a purely subjective choice of death. There remains no logical reason why the right to exercise such choices should be restricted to this or that medical condition, or to medical conditions at all. Whatever limits are set, someone will feel constrained by them; and the state will continually be called upon to justify a discriminatory regime (where group “a” is allowed subjective decision, but group “b” is not). Dr Robert apparently believes (or at least did believe) that protection of the common good can perform a limited retreat before the pressure of unfettered individual liberty, and that stable compromise can be established between these two visions. But the legal and moral change, from euthanasia-as-criminal-homicide to “medical aid in dying”, is not a difference in degree; it is a difference in kind. No compromise is possible. There is only a clearly perceptible earth-moving shift towards a radically different medical paradigm based, solely, upon personal subjective choice – a shift which the Physicians’ Alliance, palliative care providers and many others have opposed from the beginning. The politicians who promoted Bill 52 insisted it was “an evolution, not a revolution”. But, as we observe the public opinion shift that alarms Dr. Robert – “the paradoxical discourse that calls for safeguards to avoid abuse, while asking the doctor to act as if there were none” – it becomes obvious that it is indeed a revolution, planned as such by its authors, wilfully ignoring the opposition of those who care for the dying. The ink is barely dry on Bill 52 and euthanasia enthusiasts are already demanding further concessions. The interim demands were never an acceptable final destination, only legal waystations on the path to complete liberty of personal choice. As Dr. Robert calls it, death à la carte. And so it is, that even Dr. Robert has begun to speculate publicly upon the medical significance of such an extreme outcome. And these are the logical implications which he has now had the honesty and rigour to bring forward: The medical profession has no duty (or competence) to define, staff or take any responsibility for a public regime of death on demand. Whatever form such fundamental social change might take, it is NOT a medical problem. And (we would add) the sooner we realise this fact, and act upon its wisdom, the better things will be for all concerned. Indeed, simple prudence would suggest that we show restraint right now in the administrative implementation of the euthanasia regime. Decontamination is always easier in proportion as the contaminated area is smaller. Hubris-driven attempts to impose MAID upon all corners of the health care system should be abandoned. Refusal of individuals and institutions to collaborate in this practice should be scrupulously respected. It is a sentiment with which we entirely agree. Translated from the original article in French by the Physicians’ Alliance against Euthanasia. Too bad you have cold feet now. You created this situation, at the very least you didn't try to stop it. Who are you to deny people a right after you provide it? Who do you think you are? You stood for this and chose this, you must suffer. Of course, if you're suffering too much, it's too bad there isn't anything you can do to relieve that suffering. MANY doctors in Canada have no desire to become "killing" doctors. The majority know we need better and more abundant palliative care offerings. My hats are off to those doctors and health care professionals that have a conscience and refuse to take part in this debacle.